Welcome to the revamped BCHN Newsletter! You can expect to receive the latest news, updates and events information from our organization on the third Thursday of every month. The start of 2016 has been a very busy time for BCHN, with new members added to our team, and formation of the Board of Directors' new Advisory Council. In addition to the ongoing work at our Fordham Plaza office, 17 community- and school-based health centers, and around the Bronx, BCHN also recently participated Advocacy Day in Albany and the NACHC Conference in Washington, D.C. The Newsletter may be monthly but you can always find out what's happening at BCHN on our website and social media networks. Pay special attention to the calendar as there are a number of events scheduled for the coming weeks, and we invite you to send information about your happenings to info@bchnhealth.org. 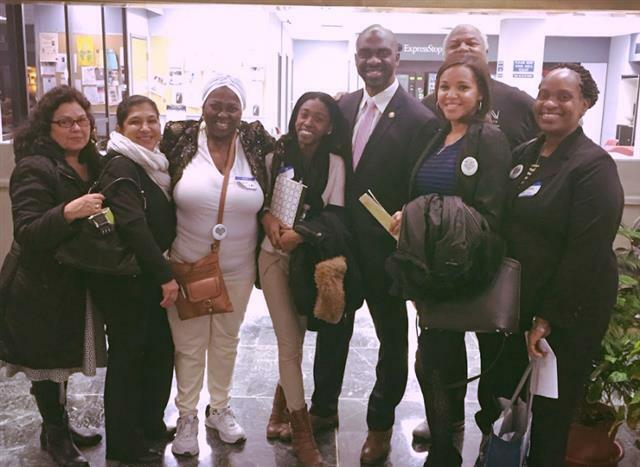 BCHN's Rita Gonzalez, Elisa Benitez, Gladys Beaulieu, Ebony Finney, Elissa Santana, Richard Thomas and Donnette Junior met with New York State Assembly Member Michael Blake during Advocacy Day 2016 in Albany. 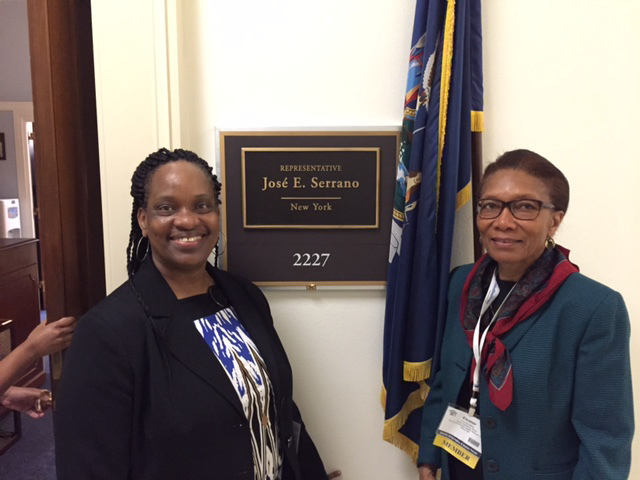 On March 7, 2016, community, homeless and migrant health center supporters – board members, staff, and patients – from across New York State traveled to Albany to meet with elected officials and tell them how much their communities depend on Federally Qualified Health Centers (FQHC) for high quality, affordable primary care services. 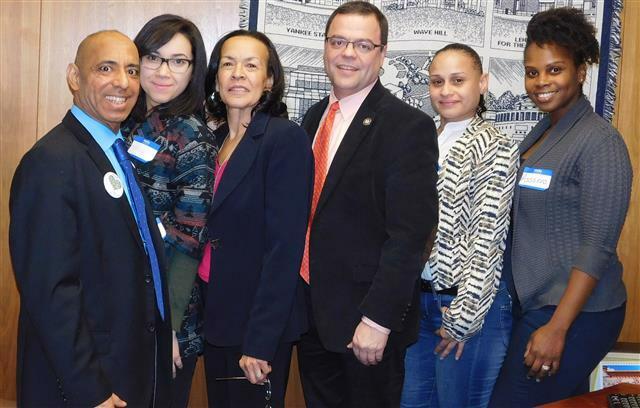 A team of supporters assembled by Bronx Community Health Network participated in the event and met with a number of our local representatives including New York Assembly Member Michael Blake and Assembly Member Luis Sepúlveda. BCHN's Pedro Gonzalez and Nancy Manus met with New York State Assembly Member Luis Sepúlveda during Advocacy Day 2016 in Albany. BCHN Attends 2016 NACHC Pol­icy and Issues Forum in Washington, D.C.
Donnette Junior with CEO Eleanor Larrier at the NACHC Forum in Washington, D.C.
From March 16-19, BCHN staff and Board members traveled to Washington, D.C. for the National Association of Community Health Centers (NACHC) Annual Pol­icy and Issues Forum, which is the largest gath­er­ing of com­mu­nity health pro­fes­sion­als in the country. Health center lead­ers joined deci­sion-mak­ers and pub­lic health lead­ers in the heart of D.C. to share and learn about effective, evidence-based primary healthcare models for addressing the health of U.S. residents across the nation. BCHN's team met with health center supporters from around the country, as well as with national representives including Congressman José E. Serrano, U.S. Senator Chuck Schumer and U.S. Senator Kirsten Gillibrand. On February 26, the William Howard Taft Campus school-based health center officially opened a state-of-the-art dental services to serve students. Located at 240 East 172nd Street, Bronx, NY 10457, Taft Campus has been a part of the BCHN Network since 2012. Tooth decay may result in pain and other problems that affect learning in school-age children. The dental unit will provide services to children unlikely to receive them otherwise, and the need is evident from the number of requests already coming in for dental appointments. 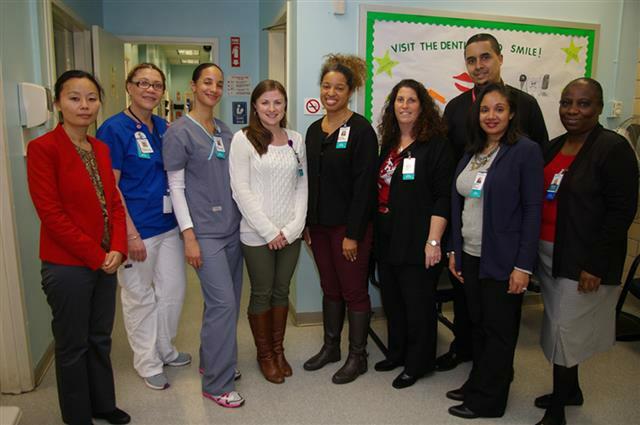 Said William Quintana, Principal of Bronx High School for Medical Science, "It is a wonderful idea to have the dental unit in the school because the neighborhood is in high need for dental services." Click here for more photos. BCHN's Board of Directors and Executive Team welcomed members to the new Advisory Council at an orientation on February 19. On February 19, an orientation meeting was held to welcome members of the Board's new Advisory Council. Each member will serve on multiple Board sub-committees, and brings a wealth of knowledge and experience to our organization. 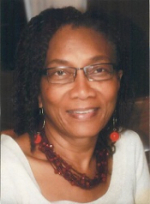 The Advisory Council Committee is chaired by Katherine Lobach, MD, and consists of Torrence Akinsanya, Marta Baez, James Carey, Arlyne Croker, Millie Pacheco, Stella Onuoha-Obilor and Calvin Ramsey. 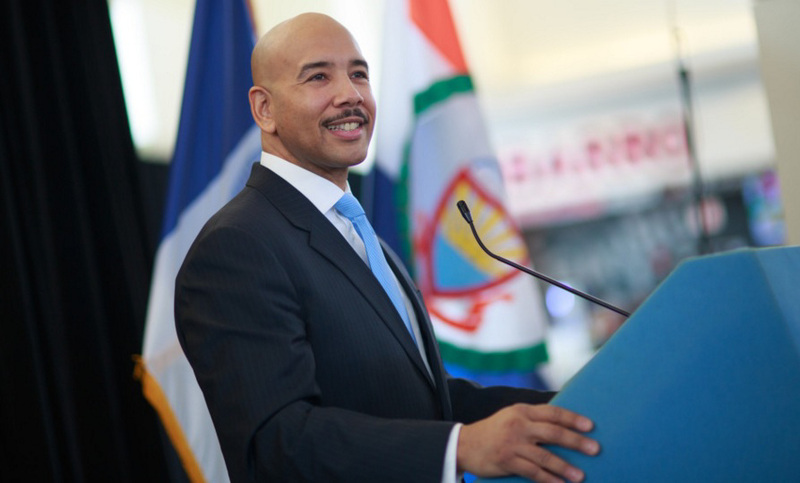 “It's going to take time and effort on everyone's part to make our borough a healthier place, but there is a full court press for a healthier Bronx thanks to the #Not62 Campaign," said Bronx Borough President Ruben Diaz Jr.
On March 16, the Health Department, a member of #Not62 Campaign for a Healthy Bronx, issued a press release praising BCHN and 14 other community group organizations for joining the coalition’s effort to improve the health status of the Bronx. Since its launch last year, the Campaign for a Healthy Bronx has worked to recruit the borough’s strongest leaders and advocates working to address social and health inequities and improve health outcomes. 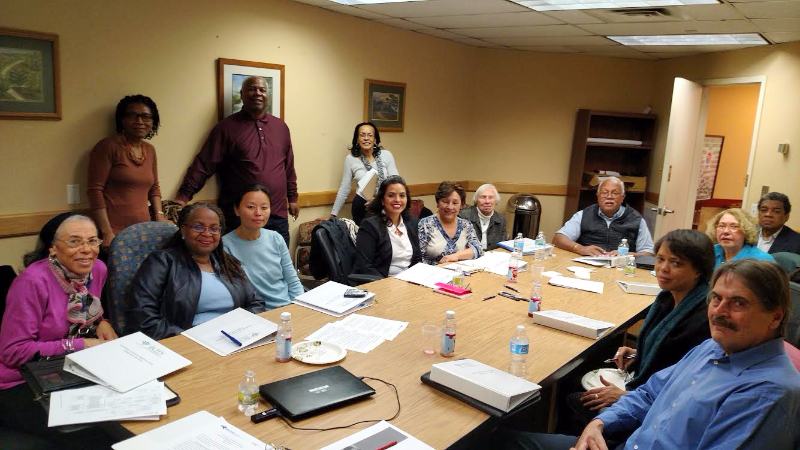 BCHN is a member of the #Not62 Healthy Beverage Zone sub-committee, as well as the planning committee for the upcoming Bronx Active Living Week. * On March 11, Health and Human Services (HHS) Secretary Sylvia M. Burwell announced $94 million in Affordable Care Act funding to 271 health centers in 45 states, the District of Columbia, and Puerto Rico to improve and expand the delivery of substance abuse services in health centers, with a specific focus on treatment of opioid use disorders in underserved populations. Bronx Community Health Network, Inc. (BCHN) was awarded $325,000. Find out more here. * On March 11 and 18, community health workers completed the New York City Department of Health and Mental Hygiene’s (DOHMH) "Keep on Track: Blood Pressure Monitoring Program" training. The now certified community health workers were trained to measure blood pressure using digital blood pressure monitors; on risks factors and preventive measures related to high blood pressure; and using program health education materials including the use of blood pressure tracking cards, and other blood pressure related information sheets for community members. The training concluded with practice based role play to increase familiarity with the digital machines and appropriate questions to ask those being screened. 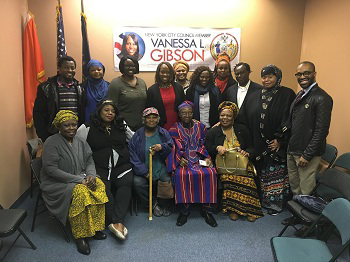 * On Wednesday, March 16, community health workers participated in the "Women's Leadership Roundtable" in celebration of Women's History Month, hosted by by the African Leadership Council Council Member Vanessa L. Gibson. The roundtable event served to gather women from multidisciplinary fields that work in the Bronx with the goal of sharing their work and increasing efforts for collaboration among organizations. Find out more here. * On March 19, community health workers facilitated a Diabetes workshop at Caldwell Temple Soup Kitchen’s Wellness Camp in the Bronx. Members of the community received health screenings by medical professionals, and were directed to the community health workers for referrals to additional services. Participants were interested in services such as connection to a PCP, and assistance with obtaining medical insurance. 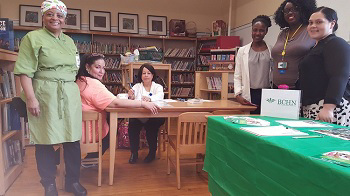 * On March 28, community health workers participated at the Teacher’s Community Health Fair at P.S./MS 95x. Teachers had their blood pressures measured by the community health worker team. Attendees participated in a food mock up activity, where teachers built meals they would typically eat throughout the day, and were taught about how that meal would affect their recommended daily sodium intake. The events ended with a healthy meal prepared by an onsite chef, provided by the school. Check out more photos here. * On April 12-14, BCHN’s Healthy Start team completed training on the Florida State University Partners for a Healthy Baby Curriculum: "Workshops for Home Visitors" in Orlando, FL. The nationally recognized, evidence-informed curriculum workshop included how to plan effective home visits, promote healthy birth outcomes, detect early signs of health or developmental problems, teach parents ways to facilitate their child's development, and support parenting skills that promote optimal bonding, attachment and responsive caregiving. * BCHN recently hosted an orientation session for our new health-center based health educators: Kim Renwick (Comprehensive Family Care Center), Keyla Garcia (Family Health Center), Alexandra Pamiloza (Family Health Center), Roxana Yusti (Castle Hill Family Practice), Allan Avila (Comprehensive Health Care Center) and Arycelis Segura (Health Educator Manager). * Three community health workers recently received their DPP (National Diabetes Prevention Program) certification, and are now considered Lifestlye Coaches. DPP is an evidence-based lifestyle change program which has been shown to reduce the progression of diabetes by almost 60% (more effective that drug therapy alone). It is a year-long program designed to help pre-diabetic participants make real lifestyle changes such as eating healthier, including physical activity into their daily lives, and improving problem-solving and coping skills. As lifestyle coaches our CHW team will facilitate the 22-session classes for patients. Bronx REACH CHAMPS wants you to succeed in your journey to healthy living through programs such as Shop Healthy. Three more of our Shop Healthy stores are about to receive proclamations from the Borough President's Office after completing the steps required in the program. Check out the BCHN Events Calendar for dates, times and locations. 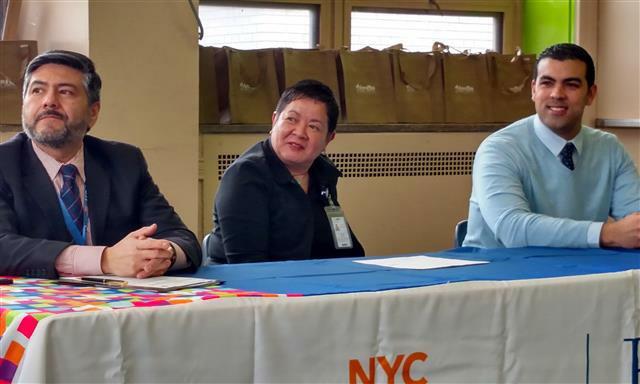 Mike Hernandez (BCHN), Dr. Nancy Tham (Gotham Health/Segundo Belvis) and and Rene Peralta (MetroPlus) spoke about the Bronx REACH CHAMPS program at a community engagement luncheon on March 31. On March 31, a REACH CHAMPS Gotham Health/Segundo Belvis Ruiz ‪‎Shop Healthy Community Engagement Luncheon was held at St. Mary's Recreation Center, hosted by Sonia Rodriguez. BCHN's Mike Hernandez was a featured speaker in the program. Watch a video of his remarks here. Bronx REACH CHAMPS is partnering with the Bronx Borough President's Office on a Worksite Wellness event at the Fordham Plaza Transportation Hub on Friday, May 13, as part of "I Am Not 62 Health Day" during the annual Bronx Week celebration. Join us starting at 7 a.m. to learn about healthy eating tips to make for a healthier workplace, and for a demonstration of simple exercises that can be done at the office. 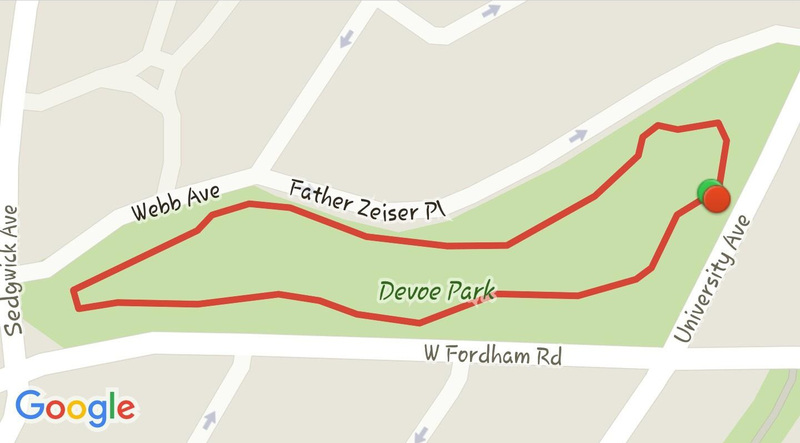 This month we shine the spotlight on Devoe Park, located on West Fordham Rd. between Sedgwick Avenue and University Avenue. The walking path inside the park (see below) is 0.49 miles, so travel just over 2 trips around and you have walked a mile! Note: Vivian Grocery is located at 1275 Burke Avenue, Bronx, NY 10469. Gold Grill Deli is located at 1226 East Gun Hill Rd., Bronx, NY 10469. Time will be announced soon.